The high frequency light will work on the targe skin layer, it has a germicidal and anti-bacterial effect, due to the ozone formation, good for the skin get balance of oil, water, so that get the result of skin rejuvenation, acnes removal, easy operate but good effect. High frequency treatments kill bacteria and reduce inflammation, hence the acne-fighting benefits. High-frequency treatments also increase circulation to stimulate collagen, making the treatment an effective anti-aging and glow-boosting tool, too. Direct high-frequency increases activity in the skin's basal layer, refines skin texture and gives an improvement in the skin's defense against bacteria. It has a germicidal and anti-bacterial effect, due to the ozone formation. It limits sebaceous secretions, drying and healing the pustular infection. Impurities are released by the dilation of skin pores. The improvement of lymphatic and venous blood circulation produces enhanced skin texture and oil and moisture balance. Because there is no polarity or chemical action with this current, chemicals cannot be driven into the skin. There are no harmful effects on the nerves or muscles. Indirect High Frequency passes through the surface of the body and produces a stimulating anti-congressive effect, with no chemical formation on the skin's surface. The generated warmth produces a relaxing, sedative effect, relieving tension with the same skin benefits as Direct High Frequency. The tool itself looks like a stick with a small bubble at the end - this bubble is the electrode. The electrode produces argon (a gas that is good for the skin) and emits a small current. Professional beautician Kerry Benjamin says that when applied to the skin, it produces oxygen, kills bacteria and soothes inflamed skin. The glass electrode is in direct contact with the skin. 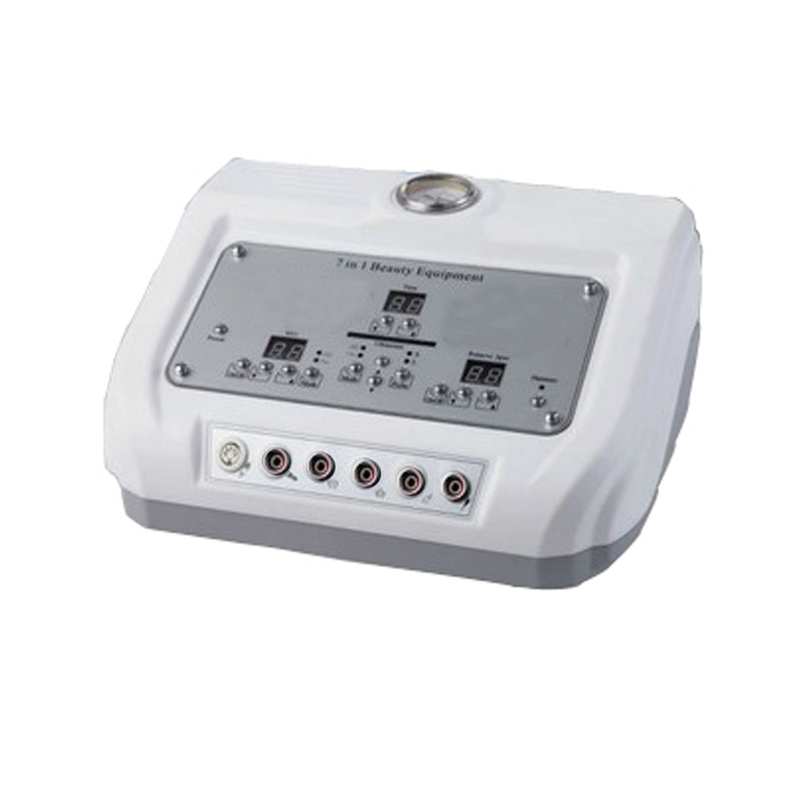 The current is scattered in contact with the patient, and the effect is very beneficial to the skin because the effect is concentrated around the electrodes. It has bactericidal and bacterial effects that greatly reduce acne. 1. This is a safe procedure that can be carried out for men and women, including adolescents with mild to moderate acne. 2. It is also suitable for treating just one spot before a special occasion such as a Wedding. 3. Applicable to patients with acne on the back, chest and another body surface. The generated warmth produces a relaxing, calming effect, Wrinkle Remover, skin rejuvenation, relief of tension and skin benefits with direct high frequency. Such as Cheeks, Forehead, Neck, Chest, Back, Eye Area, etc. High-quality high-frequency electrodes are usually made of tempered glass, and the electrodes are filled with two kinds of gases: one is argon, which emits a weak purple glow; the other is helium, which emits an orange glow. The high-frequency electrode is a safe conductor of the current. High frequency is a good overall treatment that provides many benefits for skin care attention, from acne to wrinkles. Treatment time: It is safe to use every day. Depending on the severity of the acne, you can spend 15 to 20 minutes a day using the device, or in a smaller area in just 5 minutes. We recommend at least 6-8 treatments per week, followed by maintenance. 2)What steps are involved in the Treatment? 1. The skin will be cleaned with acne cleanser to ensure no grease. 2. The skin is further prepared for electrical therapy. 3. Exfoliation treatment was carried out using a vitamin C activated scrub. 5. An oxygen-filled mask will be applied to the skin. 6. End of treatment with acne serum and oil-free moisturizer. 5. Avoid frequent use of aggressive AHA or glycolic acid products as they can over dry the skin, especially during the winter months. 6. Avoid treatment of capillary rupture, areas of spider veins and rosacea, as high frequencies may exacerbate these conditions. 7. Do not use if you are pregnant, have a pacemaker or history of heart disease. 8. Avoid wearing metal jewelry during high-frequency treatment to avoid the risk of shock. 9. Do not operate the high-frequency system if the lamp is broken. 1. Microcurrent side effects include nausea, fatigue, drowsiness, and temporary flu-like sensations, High-frequency will not. 2. Short treatment time and get a better result. 1. Treatment is mildly uncomfortable. 2. High frequencies are considered to be very safe. The possible side effects are very limited and all side effects are relatively mild (eg, short-term skin irritation).